Around the Office - February 2015 | Rocco & Associates Wealth Management, Inc.
Rocco & Associates has been a strong supporter of the Connecticut Food Bank over the years and had the chance to continue to build on this great relationship on February 6th. Charlie, Eric, and Liz took the morning off to head over to the Southwestern CT distribution center right here in Fairfield to help pack lunches for the Kid’s Backpack Program. This program identifies students who are at risk of hunger when they do not have access to school meals, primarily over the weekends. The students are provided with kid-friendly food that is distributed discreetly at the end of each week, using their own backpacks or one given to them. All in, the team helped bag and pack up 600 lunches! If you would like to help and come join us next time we participate, please email Eric Johnson for more information. The organization is always looking for more volunteers and we would love to get more clients involved in this rewarding experience! One of the lesser known work stations at Rocco & Associates is the “Behind the Wall,” area that is occupied by our Business Development Coordinator, Chris Ruta, as well as both our Business Development and Financial Operations Interns. During their time at the office, Chris and the interns utilize one of our investment research tools, Morningstar Advisor Workstation, to create and analyze reports on various investments that are used in our investment strategies. Throughout the semester, the team will rely on this group for special projects all working towards improving our internal processes as well as our clients overall experience. Designed with you, the client in mind, we have rolled out a new trading system that integrates with our Client Relationship Management (CRM) system and LPL Financials’ Enhanced Trading platform. By streamlining this process, we are able to react more nimbly to market conditions and trade more efficiently (by executing a larger number of trades in a shorter amount of time). In addition, since each process interfaces with the other, we are able to put many transaction in a queue to be sent to with a few simple clicks, further increasing our efficiencies. This new system also provides an additional layer of account analysis that allows us to further view what clients are holding which mutual funds. At Rocco & Associates, we will continue to leverage technology in order to provide and improve excellence in client service. My name is Dennis Kilic and I am excited to be filling the new Financial Operations Internship role for the 2015 spring semester. I am originally from North Haven, CT and a big car enthusiast. I am currently an undergraduate student at Quinnipiac University and pursuing a bachelor’s degree with a major in Finance and double minor in Accounting and Computer Information Systems. When I am not studying or at the office, I spend time working on my car or hanging out with friends. As a result of my Finance, Accounting, and Computer Information Systems classes I have developed a passion for financial analysis and a desire to work in the Wealth Management field. One of my long-term career goals is to obtain the Chartered Financial Analyst (CFA) designation. 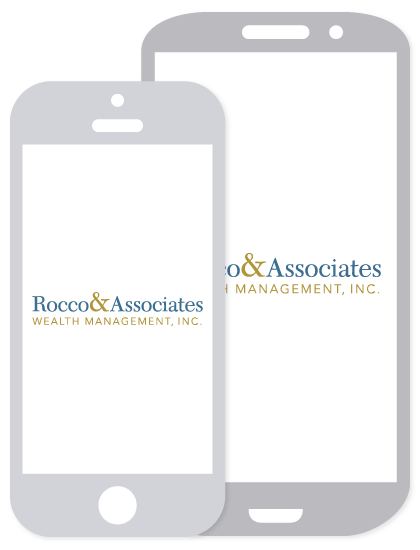 What attracted me to Rocco & Associates specifically, was the collaborative team based approach to wealth management as well as the heavy emphasis the internship places on financial analysis. I look forward to meeting all of you when you are in the office, be sure to come by and say hello!